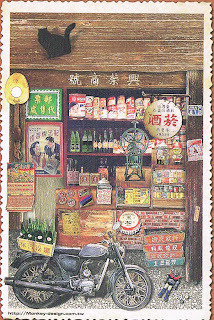 This card pictured the general sundry goods from the ancient time of Taiwan. I like the illustrations and the color, as well as the vintage mood. 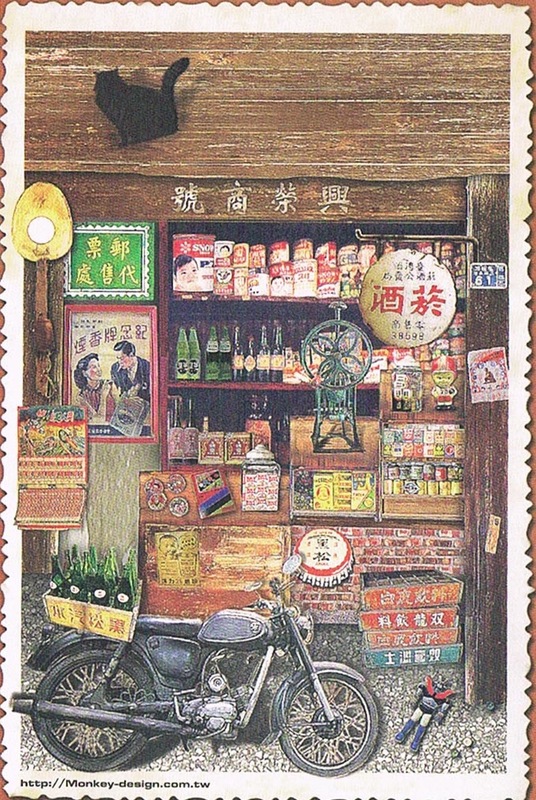 I love to collect vintage postcard, this is one of my favorites.